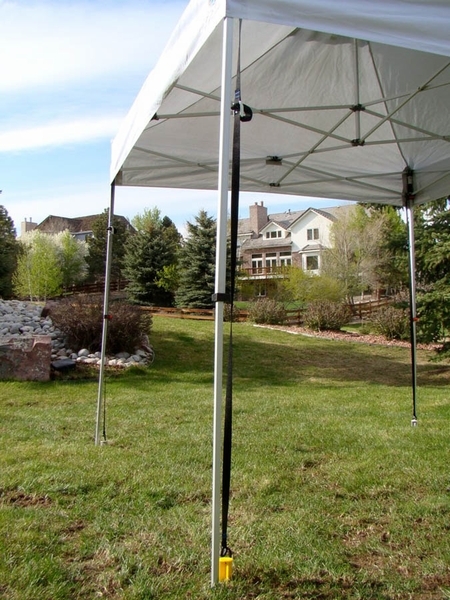 When you're looking for additional canopy stability that installs in just seconds put provides all the extra dependability you need, look no further than Undercover Canopy's unique new Gravity Stake anchoring system. 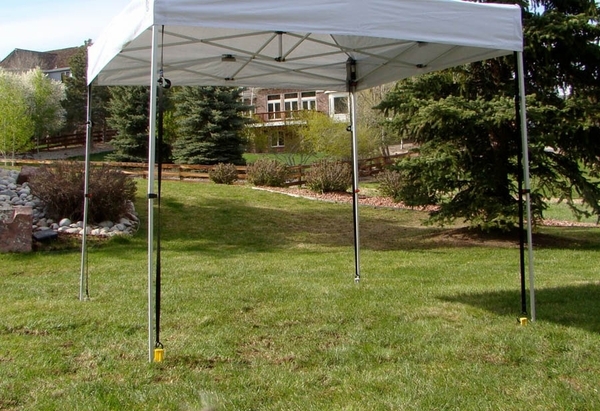 The tensioning straps and UVC stakes hold the canopy, tent, or gazebo frame securely to the ground, attaching to each upper corner leg and then extending with just the right amount of tension necessary to get the job done. 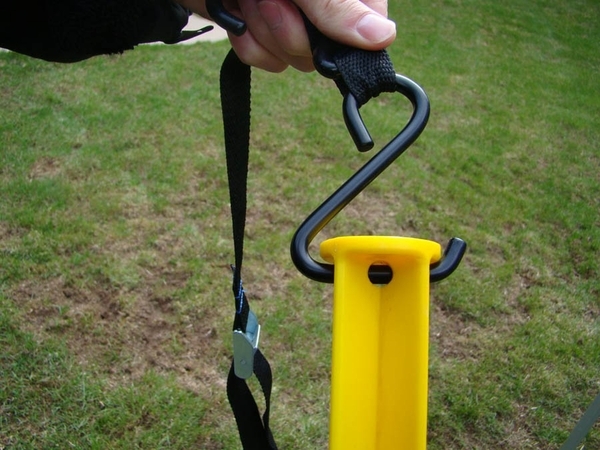 Each kit includes four heavy-duty PVC stakes and tensioning straps. 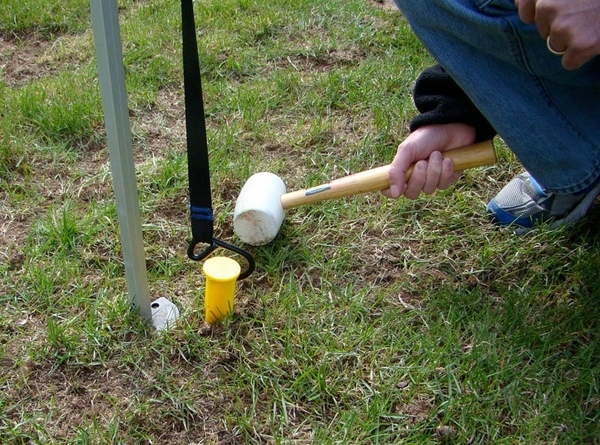 Each kit includes four heavy-duty PVC stakes, four leg-tension straps, and a storage bag. Can this work with an EZ Up canopy? 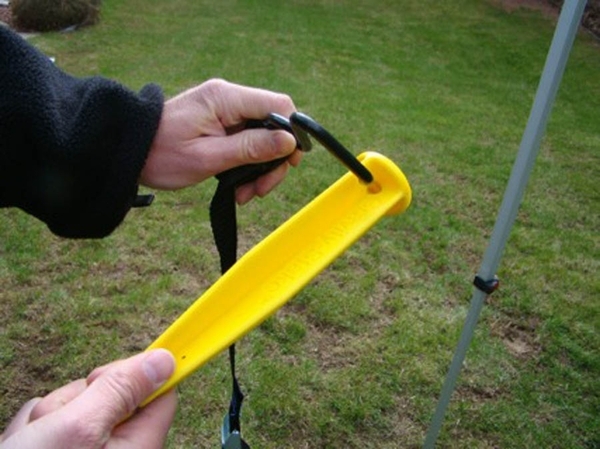 Yes, the manufacturer states these can be used with any canopy. Easy to use and work very well.